What are the advantages of more than 4 propeller blades? I have heard that propellers with more than four blades are not as efficient as 4 or less blades because of lower thrust which may result from interfering prop-streams. But I see the ATR-42/72 and they have 6 blades. What is the reasoning and the advantages to that prop layout? You are right, more blades are bad for efficiency (follow the link for the definition). Ideally, a propeller should have only one blade. Every additional blade will cause disturbances which interfere with the flow on the other blades. When engine power increases, the propeller disc area should also grow, but this growth is limited by the resulting speed of the blade tips. Once the flow speed there becomes supersonic, the drag at this section of the blade increases without a corresponding increase in thrust. To avoid that, the next best option is to increase the solidity ratio of the propeller, called also the activity ratio. This is done by either increasing blade chord or the number of blades. Make no mistake, this is bad for efficiency. But if there is enough power available, adding more blades is the best way to transform that engine power into thrust. From the Mk II, a three-bladed propeller was fitted to accommodate the increasing power of the RR Merlin (1,470 hp for the Spitfire Mk V). With the Mk IX, a four-bladed propeller was needed for the 1,575 hp of the supercharged Merlin 61. 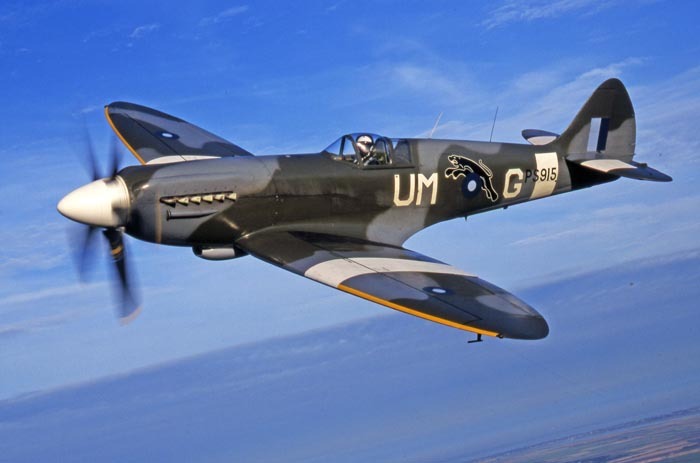 From the Mk XII, the more powerful Rolls-Royce Griffon made a five-bladed propeller necessary. Engine power was raised from 1,735 hp to 2,300 hp for the last variant, the Mk XXIV. A lower prop speed allows to increase its diameter, but while tip speed will drop by less than the reduction in prop speed (after all, flight speed should not change), the available thrust from this propeller will drop by the square of the speed reduction, since thrust is proportional to the dynamic pressure on the blades. And thrust you get only from the circumferential fraction of the local speed at the blade; flight speed does not count here and does not help to mitigate the reduction. Consequence: You cannot make the propeller bigger and spin it more slowly for a given power. 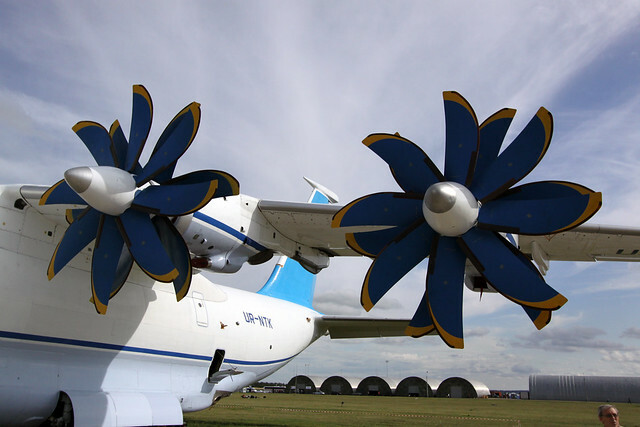 SV-27 propellers on the An-70 (picture source). Eight blades in the forward disc and six in the rear, running at only 1200 RPM. In order to reduce Mach effects, all blades have a swept tip and deep chord. This can only be topped by something like an ungeared turbofan with a ducted propeller. A turbofan, in other words. First, we have to define what is efficiency. In case of propeller, we can define efficiency as the ratio of output power (ability of the propeller to produce a given thrust at a given airspeed) and input power (i.e. the shaft power of the engine). All else held constant, the efficiency the propeller decreases as the number of blades increase due to aerodynamic reasons (like interference). However, if the engine power is increased, the propeller should be able to 'absorb' that; i.e. transmit engine power to the air flow passing through the propeller disk, adding energy and generating thrust. Increase angle of attack i.e. blade pitch- The pitch angle is usually set at a value where the aerodynamic efficiency is optimal. Changing it may make the blade inefficient. Increase the blade diameter The causes two major problems- Longer blades means more tip speed, which increases drag once it reaches transonic speeds; also, the longer blades means longer landing gear for tip clearance or more clearance between two propellers and/or fuselage. This increased structural weight is unacceptable as leads to a vicious cycle. An extreme case of this is the F4U Corsair, which had an inverted gull wing to accommodate the huge three bladed propeller required for the extremely powerful engine. Increase the rpm The problem is again the tip speed, which can increase drag significantly at high speeds. Redesign the blade with more camber Again, the blades are usually at their optimal aerodynamic efficiency; increasing the camber may lead to less efficient blades. Increase the chord This increases the solidity, improving efficiency; however, this leads to increased interference between the blades, which is again bad. A good example of the effect of the engine power on the number of propeller blades can be seen in the case of Lockheed Martin C130 Hercules. 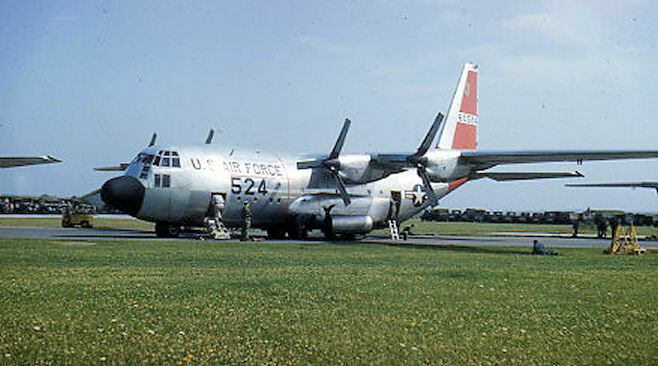 The initial model, the C-130A used a three bladed propeller to absorb the 4050 shp of Allison T56-9 turboprops. Later models used a four bladed propeller as the engine power was increased to 4590 shp in Allison T56-A-15 turboprops. 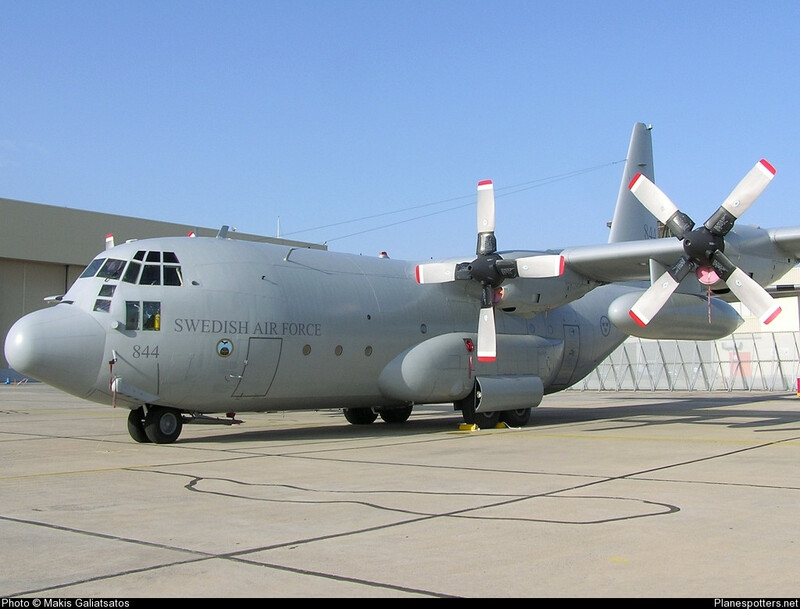 The C-130J Super Hercules uses a 6 bladed propeller to absorb the 4,637 shp from Rolls-Royce AE 2100D3 turboprop. 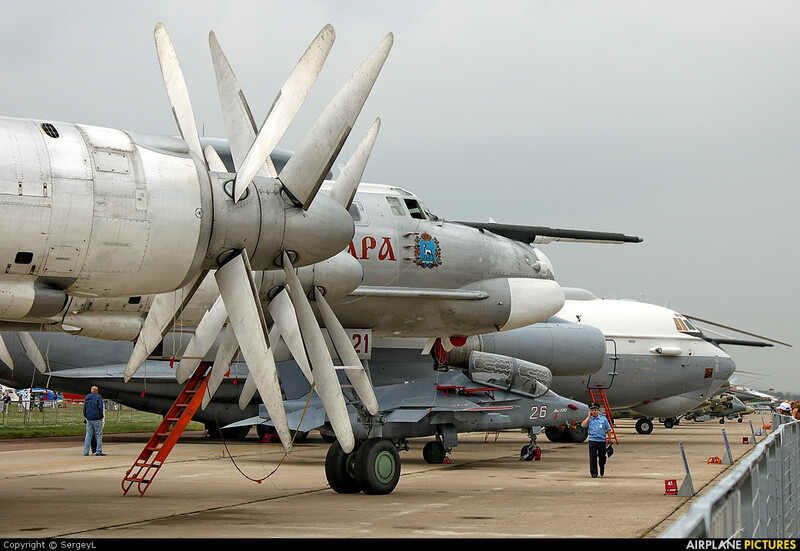 In extreme cases like the Tu-95, contra rotating propellers had to be used to absorb the power from the engines. Not the answer you're looking for? Browse other questions tagged aircraft-design propeller efficiency or ask your own question. Is a propeller with two long blades more efficient than one with three shorter blades? Will two blades or three blades last longer on a hobby drone? Given the same engine, why install a gearbox on a turboprop but not on a turbofan? How does a fan differ from a propeller? Is it possible to fly with counterbalanced single blade engines? Why are three-bladed helicopters relatively rare? What is the propeller efficiency, $μ_p$, of modern propellers for light sport aircraft? Why is the Constellation's nose gear so long? Why don't aeroplanes use propellers with more blades like the intake on a fanjet? How does blade solidity ratio relate to thrust/power/torque of a propeller? Are the Boeing 747-8 engines more efficient than the 747-400 engines? Why is the Tu-95 so efficient despite having propellers that spin faster than the speed of sound? Can noise from contra-rotating propellers be reduced by having a different number of blades on each propeller? Are ducted fans more efficient? Is 1 propeller always more efficient than 2? Does the required torque to spin a propeller increase with RPM? Does shrouding a propeller minimize induced drag by equalizing the downwash velocity along its blades?